From Everett to Federal Way and Redmond to Ballard and West Seattle, light-rail service would start a few years earlier than Sound Transit had proposed in March. New finance strategies make it possible, says the agency, which is preparing the November ballot measure. Light-rail extensions would be built faster than originally proposed, with Everett getting service in 2036, five years sooner than Sound Transit had announced, and Federal Way and Redmond coming online as soon as 2024, under a revised plan released Thursday. The quicker timelines, for a Sound Transit 3 ballot measure to go before voters this fall, are possible mainly because of new financial assumptions and strategies, said Sound Transit CEO Peter Rogoff. The overall cost of projects in the ballot measure would rise to $54 billion, a $4 billion increase from the package released in March, but the tax rate would not change. An average household would pay $400 in yearly property, sales and car-tax increases if voters in urban Snohomish, King and Pierce counties say yes in November. Other shortened timelines include Ballard light rail in 2035, three years sooner than in the March draft plan; West Seattle in 2030, three years sooner; Federal Way to the Tacoma Dome in 2030, three years quicker; and stations for South Graham Street in Rainier Valley, and Boeing Access Road in Tukwila, by 2031, five years sooner. Although the 2020s and 2030s remain a long time to wait, Thursday’s announcement is meant to respond to the clamor for service. In seven public forums and 2,300 written comments, Rogoff said, a common theme has been that people wanted projects delivered years faster than the March proposal outlined, to give them a way out of traffic congestion. “Folks are fed up, having reached the saturation point, and they want relief sooner,” he said before Thursday’s board meeting. Finance details weren’t immediately available Thursday, but Rogoff said consultants found the agency could sell an additional $4 billion in bonds between the sunset of the Sound Transit expansion program under way now and the 25-year construction plan outlined in Sound Transit 3. Bonds would hit the market quicker, and plans call for 30 percent of projects to be debt-financed. A route change in Everett also helped. The line would still veer west from the 128th Street/Mariner Station to Paine Field as elected officials want, but it would arrive at downtown Everett along Interstate 5 rather than over Evergreen Way — saving $300 million in land and trackway costs. 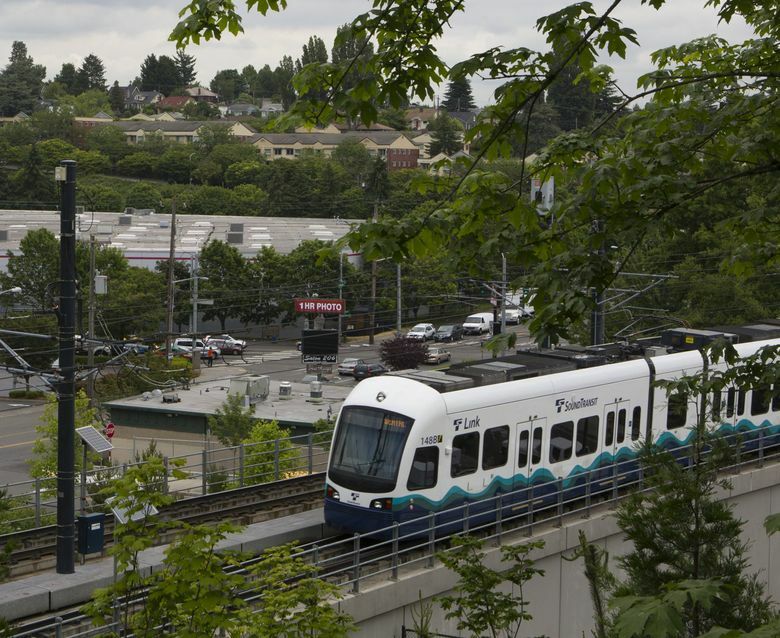 The new schedule represents an especially big win for Federal Way, which was supposed to get a north-end station by 2023 in the Sound Transit 2 measure approved in 2008, a promise the agency broke during the last recession. If the new plan succeeds, the city would end up slipping only a year beyond the ST2 timetable. To help make it possible, the Highline College station would be postponed one year, to be finished in 2024 as part of the whole Angle Lake-to-Federal Way corridor. 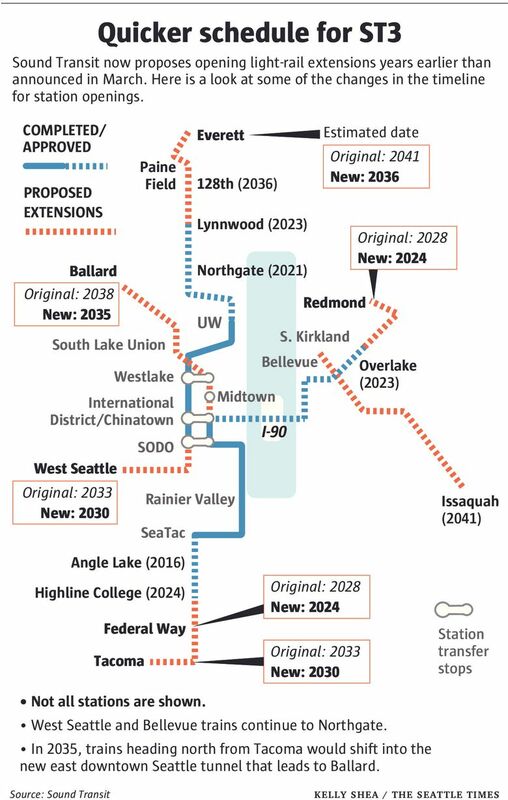 And the 2024 line would reach downtown Federal Way. A final Sound Transit board vote on what to put on the fall ballot is expected June 23. The $54 billion program would be funded by federal grants and three tax increases: a yearly property tax of $25 per $100,000 home value; a sales tax of 4 cents per $10 purchase; and an annual car-tab tax of $80 per $10,000 vehicle value. The estimated household average of $400 more per year is close to double what residents now pay for Sound Transit measures approved by voters in 1996 and 2008. In Ballard, the agency is so far sticking to its decision to build on 15th Avenue West through Interbay, but would spend $150 million to elevate the tracks — an investment in preventing collisions with street traffic. The plan released Thursday rejects a Salmon Bay tunnel that could add $450 million, which was requested by a community coalition. Renton is having only part of its wish fulfilled for big park-and-ride capacity at a future Interstate 405 bus-rapid transit corridor, to open in 2024. Thursday’s plan adds a north-end stop at Northeast 44th Street with 200 parking spaces, not the 700-stall garage sought by the City Council. And at the future South Renton bus-rapid transit (BRT) station, there would be a 700-stall garage, adding capacity similar to the Tukwila International Boulevard Station — but far short of the 2,000 spaces the city wanted. Transit leaders envision South Renton as a hub where King County Metro’s RapidRide buses and Sound Transit BRT converge, and thought a 2,000-stall garage excessive, said Ric Ilgenfritz, planning director. A North 130th Street light-rail station for Seattle, championed by new Seattle City Councilmember Debora Juarez, made it into the plan with a 2031 opening date. Earlier studies said it would add only 1,000 daily passengers, but the City Council is now planning for an “urban village” there that would place more residents near light rail. The deadlines are not legally binding, so long as Sound Transit is building and maintaining corridors in its ballot plans. The measure will require that tax rates be reduced after projects are built, spokesman Geoff Patrick said. 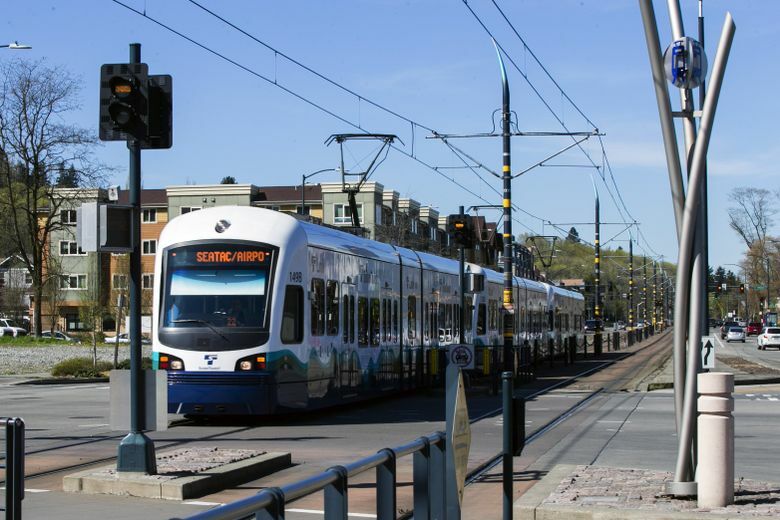 The agency has been forced to delay or alter routes — years ago, for instance, scrapping a deep, expensive First Hill Station for light rail — to cope with cost overruns and economic recession. On the other hand, in recent years the agency finished the University of Washington/Capitol Hill light-rail extension for $1.75 billion, or $200 million below the construction budget. And in Tukwila and SeaTac, elevated lines have been delivered on time and on budget, and most of the suburban ST3 rail is planned for elevated guideway, or surface near freeways. In a potentially controversial move, Rogoff suggested the suburbs help pay for a second transit tunnel in downtown Seattle, which he says is needed to add capacity for the whole region. That tunnel, continuing to South Lake Union and Seattle Center, would form a helix-shaped network downtown, so that West Seattle trains run to Northgate and Everett, while trains from Federal Way, SeaTac and Rainier Valley continue northwest to Seattle Center and Ballard. Of the $1.7 billion downtown portion, about $850 million would come from taxes collected outside Seattle, based on the projected percentage of residents using both downtown Seattle tunnels. The division of costs among Snohomish County, the Eastside, South King County, North King County and Pierce County would be based on the principle that people arrive from all directions. Sound Transit Board Chairman Dow Constantine left open some possibility for Ballard or West Seattle tunnels to be considered after the election — for instance, if the agency learns that tunneling costs might decrease. Bellevue gained a downtown tunnel after the 2008 election by contributing land and dividing extra costs, beyond the aerial alignment on the ballot. But it took two years of tense negotiations to agree on that, delaying the project. “That is not something we’re going to allow to happen. We’re not going to let schedules slip,” Constantine said. The agency is actually striving to shave another year or more off Thursday’s timelines, by speeding the permit process through Redmond, Everett and potentially in Seattle.